We offer a wide range of mechanical repairs including manufactures log book servicing at an affordable price. This service will not affect your new car warranty. We have the latest diagnostic and scanning equipment. Highlands TyreMasters are an authorized Pedders dealer providing quality equipment and service. Under normal driving conditions many vehicles can go 50 000 km+ before they need a new set of tires which is a good interval to have the alignment checked as well. Brakes are an important part of car safety, but they unfortunately won't last forever and over time and constant wear they will lose their reliability and effectiveness. During a brake service we will change your brake pads if they are at or near a point of replacement, We will check your brake fluid and the brake lines. We stock and fit ARB accessories and modifications for your 4wd vehicles and more. 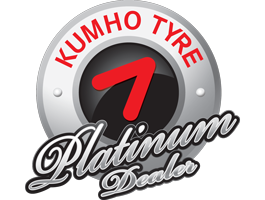 Tyre punctures can happen often when small sharp debris on the road pierces your tyre, flattening your tyre. If you don't drive on your flat tyre it might not mean the death of the tyre, often we can repair the tyre at a fraction of the cost of getting a new one. Next time you've got a flat tyre, bring it down and will get it back on the road. We are an authorised RTA Inspection Station, and can provide a safety check (pink slip) for your vehicle while we service it. If your vehicle is unregistered, we can provide a blue slip inspection to evaluate its status for registration. We can supply and fit batteries for a wide range of vehicles.